Pandy Cane will shortly release two T-shirts to celebrate their anniversary, and have decided to offer a special pre-sale for their most dedicated customers, in the form of a secret webstore, available only to those who request the link via email. The two tees take the form of two re-prints, one old classic from the archives, and a much newer design which has already reached classic status in Pandy Cane’s history. Both T-shirts are extremely limited, with the newer Love Heart design in green/green limited to just 8 pieces, and the King Cane tee limited to only 20 – both are sure to disappear quickly. To secure yours, email Pandy Cane right away, before the tees hit general sale on August 2nd (if there are any left that is) to be given direct access to the webstore. 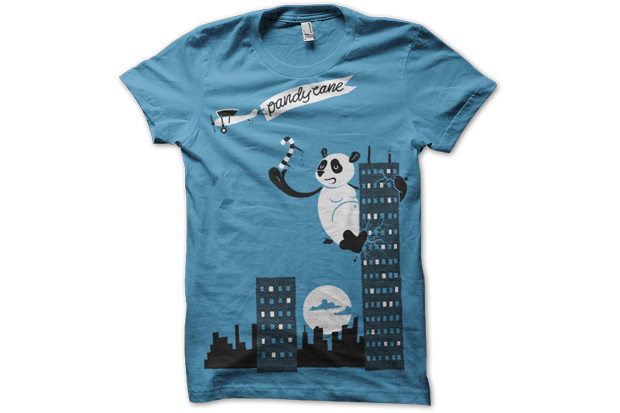 Check below for some shots of the tees and wish Pandy Cane a Happy Anniversary.